Since 2001, HomeSmart Central, Inc has been a leader in the latest technologies available for home and business. We have installed, troubleshot, diagnosed, designed, configured, programmed, fixed, and serviced almost every type of electronic system. HomeSmart has years of wisdom doing Custom Electronics. We specialize in Surround Sound and Home Theater Installations. Remember that we are also very experienced with any technology. HomeSmart has years of wisdom doing Custom Electronics. 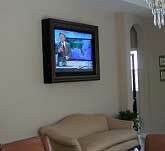 We specialize in Surround Sound and Home Theater Installations. Remember that we are also very experienced with any technology. Control of your lights, AC/Heat, Cameras, Alarm System, and even your front door. Do this all with One Remote Control, Over the Internet or even using your Fingerprint. 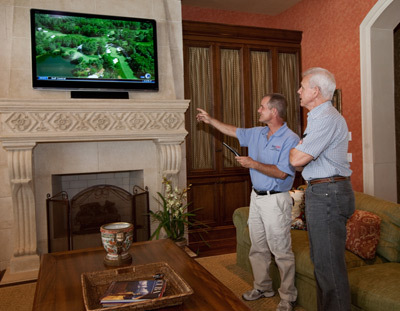 If you want a flat-panel TV mounted on the wall in your home or office, but you don't want to see it when your not being used, then SmartArt is the solution for you. 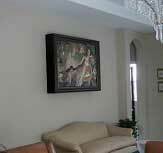 You can have your favorite piece of artworkwith a custom frame hanging on the wall. We specialize in Custom Home Theater, Surround Sound Installations, and whole-house music systems. HomeSmart Central customizes every project with cameras and digital recording that fit the application and budget. HomeSmart Central works on phone systems. HomeSmart Central provides smart lighting control. HomeSmart Central works with computer networks as well. HomeSmart Central works with intercoms. HomeSmart Central works on gate operators. HomeSmart Central can help fully automate your electronics in your home today! If you are looking for a Company that not only provides custom designs in your home or office, but also teaches you in simple to understand language, then call HomeSmart. We professionally install surround sound and home theater. If you are looking for a Company that can personalize and customize a system for your home or business, then call HomeSmart. 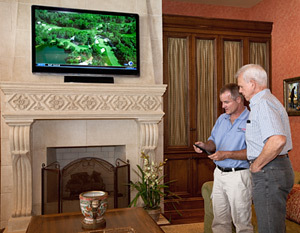 If you want that extra personal touch and excellent support after the install, then call HomeSmart Central, Inc.